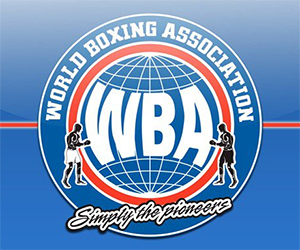 TENAFLY, N.J.(September 14, 2017) - A pair of undefeated heavyweights will face-off on Saturday afternoon, September 23, as World Boxing Organization (WBO) Heavyweight World Champion Joseph Parker takes on WBO No. 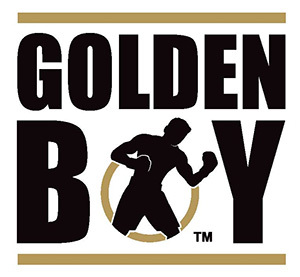 1 contender Hughie Fury, airing on Pay Per View in the United States, starting at 3:00 p.m. 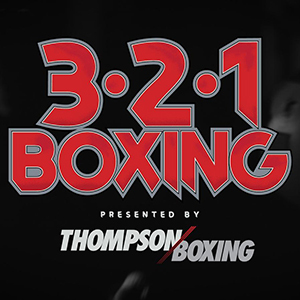 ET / 12:00 p.m. PT, live from Manchester Arena in Manchester, United Kingdom. "Parker vs. Fury", promoted by Hennessy Sports, is presented in the United States by Integrated Sports Media and Protocol Sports Marketing, Ltd., in conjunction with an internet-based YouTube PPV that is available at www.youtube.com/parkerfury.. 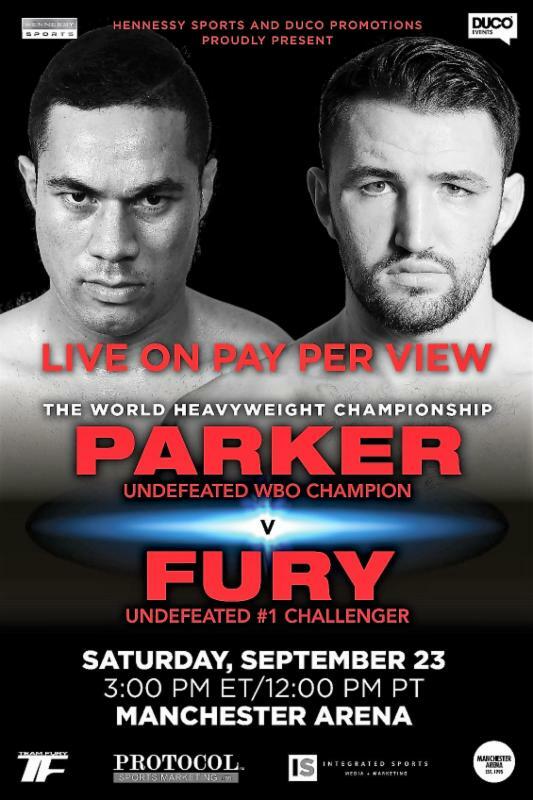 Integrated Sports Media will distribute "Parker vs. Fury" live in the United States on cable and satellite PPV via iN Demand, Vubiquity, and DISH for a suggested retail price of only $24.95. Outside of North America, "Parker vs. Fury" is being distributed to broadcasters worldwide by leading boxing television rights distribution firm, Protocol Sports Marketing Ltd.
"The Heavyweight Championship of the World is still the biggest priize in sport and it can capture the imagination of the public like no other sport," promoter Mick Hennessy said. "In my career as a promoter, this is right up there and very personal to me, and we look forward to delivering a fantastic event for the fans." Parker (23-0, 18 KOs) and Fury (20-0, 10 KOs) have a combined record of a prefect 43-0 with 28 knockouts. Parker succeeded Fury's unbeaten cousin, Tyson Fury, who vacated the WBO heavyweight title in 2016. The 25-year-old Parker, fighting out of New Zealand by way of Las Vegas, captured the vacant WBO heavyweight title in 2016, taking a 12-round majority decision from previously undefeated Andy Ruiz, Jr. (29-0) in New Zealand. Parker, who stands 6' 4", made his first world title defense this past May in New Zealand, winning a 12-round unanimous decision over Razvan Cojanu (16-2). Parker's other notable victims include Frans Botha, Brian Minto, Sherman Williams, Jason Pettaway, Kali Meehan, Carlos Takam and Alexander Dimitrenko. "I'm excited that the next defense of my WBO World title will be in England because it is now the home of heavyweight boxing and I need to be fighting there regularly," Parker remarked. "Fighting away from home holds no fears for me. I will arrive having previously fought on the undercard of a Wladimir Klitschko world title fight in Germany, also twice in America. I believe that with so many Kiwis and Samoans living in the UK, I may even have more supporters in the crowd on fight night than Hughie Fury." In 2012, Fury became the first British super heavyweight to capture a gold medal at the World Youth Amateur Boxing Championships and he hasn't missed a beat as a professional since making his pro debut in 2013. The 6' 6" Fury, who celebrates his 23rd birthday on Sept. 18, will be fighting at home in Manchester. Last year in his two most recent fights, both in London, Fury won a 10-round unanimous decision against former U.S. amateur standout Dominick Guinn (35-10-1), as well as a seven-round technical decision over Fred Kassi (18-4-1). "I've waited so long for this chance and my team have worked very hard to get me this fight," Fury commented. "I'd like to thank everyone involved. I'm going to shock the world and prove all my doubters wrong and what better place to do it than in my home city of Manchester. Parker is a good fighter and I've no doubt we'll both bring our A-game on fight night. I can't wait to be crowned world champion. "Parker is the biggest challenge of my life and he will bring the very best out of me, but I aim to deliver a knockout performance. I've prepared like never-before for this fight and pushed myself to the limits and beyond. There's no way Parker is leaving Manchester with that World title. I will do everything to make sure that belt stays here with me." Also airing live is the 12-round vacant WBO Intercontinental super welterweight title fight between hometown hero Jimmy "Kilrain" Kelly (21-2, 9 KOs) and Stilliyan "Still Kill" Kostov (21-7, 16 KOs), of Bulgaria. ABOUT INTEGRATED SPORTS MEDIA: North America's leading distributor of International Pay-Per-View and Closed-Circuit sports events has presented World Championship and world-class boxing matches featuring Ricky Hatton, Christian Mijares, Evander Holyfield, Roy Jones, Jr., Ivan Calderon, Rocky Martinez, Nicolai Valuev, Amir Kahn, Marco Antonio Barrera, Arthur Abraham, David Haye, John Ruiz, and Ruslan Chagaev. In addition, Integrated Sports Media distributed numerous International soccer matches showcasing teams like Club America of Mexico and the National Teams of Argentina, Honduras, El Salvador and the USA, as well as World Championship and world-class mixed martial arts shows featuring Fedor Emelianenko, Tim Sylvia, Bobby Lashley, Bob Sapp, Jeff Monson, and Roy Nelson. 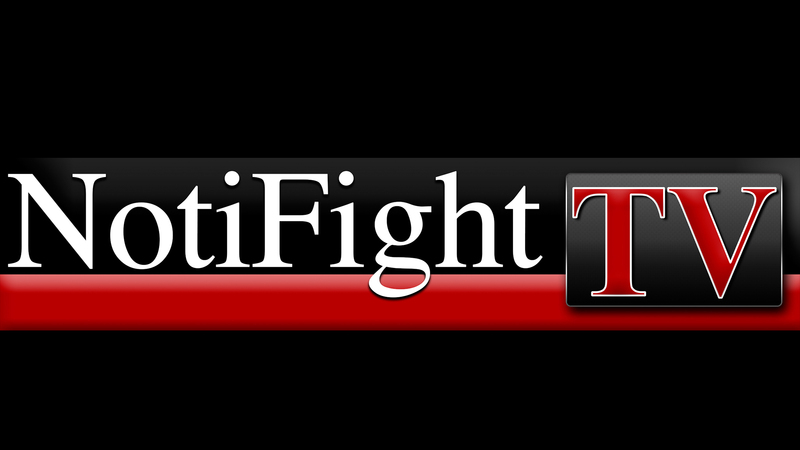 For more information on upcoming Integrated Sports events visit www.integratedsportsnet.com. ABOUT PROTOCOL SPORTS MARKETING LTD.: Protocol Sports Marketing is the world's leading distributor of live-via-satellite and tape delayed boxing events. 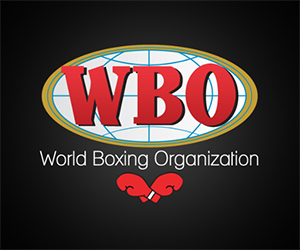 Since marketing its first live broadcast in 2009, the company has developed a strong, transparent and integrity-driven bond with rights holders, promoters and other Boxing stakeholders. 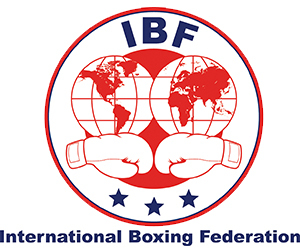 Fuelling Protocol's success has been its singular passion to re-establish Boxing to past heights, and its efforts have successfully increased both the number of international broadcasters who license Boxing and the amount of Boxing telecasts that they license. 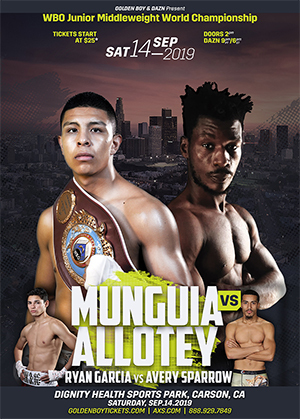 The hundreds of live and taped telecasts that Protocol Sports has historically distributed to broadcasters contain a vast majority of the fan-friendly fighters of the past decade, and the company prides itself on identifying and presenting emerging Boxing stars, early in their careers, to TV channels around the world. For more information on events distributed by Protocol Sports Marketing, visit www.protocolsports.com. Christopher Paterson, Protocol Sports Marketing Ltd., 416.449.9400 ext. 246, cpaterson@protocolsports.com.